Nyarapayi Giles is one of the respected elders of the Tjukurla Community. Nyarapayi was bom in the Gibson desert at an important cultural site called ‘Karku’. 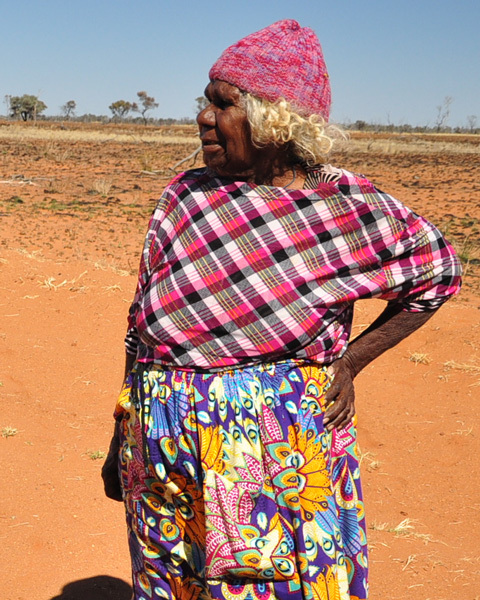 As a young woman, Nyarapayi travelled throughout the Westem Desert region with her mother and step-father, hunting, gathering bushtucker and camping in the traditional way of the Ngaanyatjarra people. 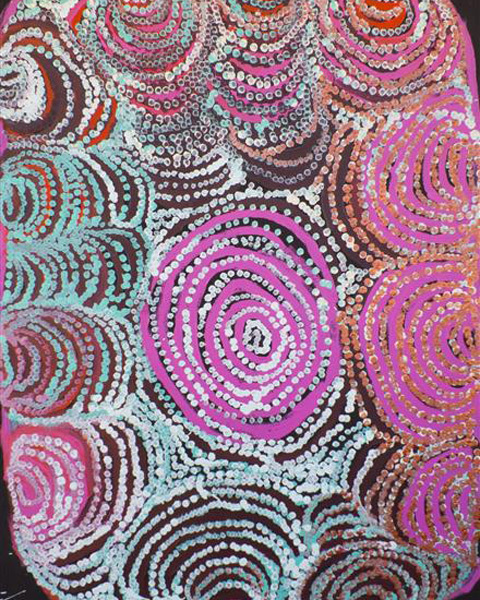 Nyarapayi’s knowledge of the Inma (ceremonies) and Tjukurpa (dreaming stories) associated with the country here is extensive. Nyarapayi settled in Tjukurla when the community was first established in the ‘1980s. She works with ‘purnu’ (wood carving) and still enjoys hunting in the bush. She learned to make baskets woven from spinifex in the 80s and has a large basket on permanent exhibition at the Queensland Art Gallery. 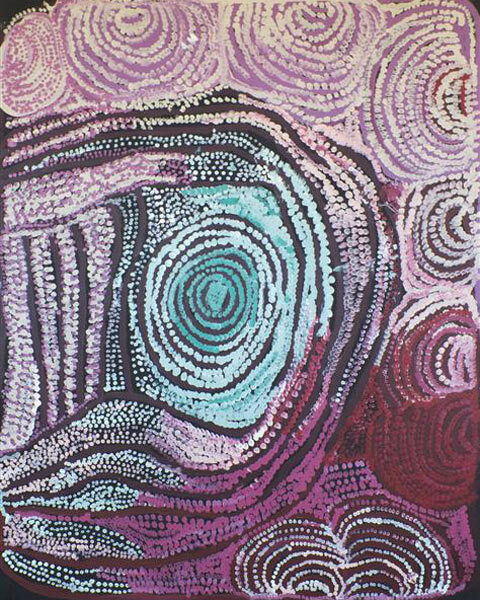 Nyarapayi Giles’ works explores her country and associated tjukurrpa in an exquisite and unique expression of colour and movement. Nyarapayi has gained recognition as a key artist in the contemporary indigenous arts world. 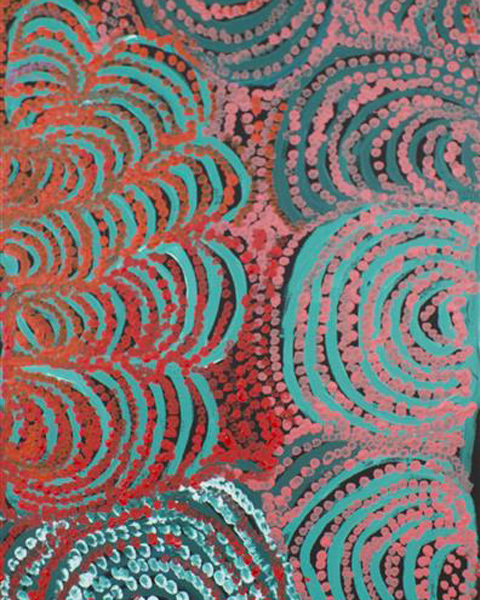 Her works are collected by collectors and institutions around Australia and internationally.